Dark Fuse Novella Sale on Amazon! There are a few I have yet to read, so I will definitely be picking up a few of these titles. I highly encourage any horror fan to take advantage of this deal to either round out your collection of Dark Fuse titles or check out a new author! Ominous Realities is the brand new anthology from the awesome people at Grey Matter Press and serves up 16 extraordinarily written tales that fall within the science fiction, fantasy and horror genres. I must say when I was contacted by Anthony Rivera of Grey Matters with an offer to review the anthology, I jumped at the chance. These stories, despite their variety of styles and genre classifications, all have one thing in common – giving you a glimpse at unique post-apocalyptic scenarios. While many of these stories may not be horror in the traditional sense, there is no doubt that the futures depicted in each one of these stories is quite horrifying in their own way. What makes these stories just as scary (or scarier) than your traditional horror fare is that in most cases, these scenarios could actually happen. William Meikle’s “On The Threshold” is the first story that details such a possibility. Meikle’s story focuses on the trials of two scientists named John and Connon as they attempt to use a high-powered lab, a wealth of resources and their staggering scientific intellect to create their own universe from nothing. Their goal seems relatively harmless – an endeavor to study the origins of a universe and whether the rules of ours would apply – all in the name of science. Do the aims of John and Connor sound familiar? Well they should, as we are currently conducting an experiment with the Large Hadron Collider built by CERN for startlingly similar purposes. After reading the frightening experiences contained within “On The Threshold”, it raises the question: Should we be manipulating forces we do not fully understand? Ken Altabel’s story, “Doyoshota”, is another story that while not necessarily based in our reality, draws information from a puzzling real life phenomena. I have always been fascinated with unexplained phenomena of all kinds and can honestly admit to spending countless hours trawling Wikipedia pages and falling down the rabbit hole of links contained within each article. UFO’s, hauntings , “The Bloop” and countless other cases have all captured my interest. Altabel’s story draws inspiration from real-life reports of a phenomena known as “The Hum”. This phenomenon is categorized as a low-frequency sound that is often described as a persistent buzzing. What makes The Hum so unique is that it cannot be easily explained away since it is a constant occurrence and has been reported all over the world. Altabel’s story explores this mysterious phenomena through the eyes of a University of Rochester audiologist sent to the town of Doyoshota, Nevada to investigate the potential cause of the noise along with other scientists. At first, the noises are not taken seriously and the residents that report them are portrayed as eccentric, to put it mildly. However, as the character begins to hear the hum himself and witnesses the mental degradation of the biggest skeptic – Air Force psychologist Guy Patterson – it becomes clear that “The Hum” is real. The character slowly begins realizing the origins of The Hum, and not only is it absolutely terrifying, it offers a very logical theory for the origins of the phenomena. Gregory L. Norris’ story “Third Offense” is set in a world that seems to have been spawned from the tendency of press outlets to create content more impressed with “clicks” and “reach” than actual substance and eye implants that resemble a supercharged version of Google Glass. Hugh A.D. Spencer’s story, “John, Paul, Xavier, Ironside and George (But Not Vincent)” is a surreal take on an apocalyptic scenario in which roving clouds of nanobots lay waste to civilization. Although most of the stories contained in Ominous Realities fall outside of the traditional horror genre, there are a few tales that come directly from the genre. “Angie” by John F.D. Taff focuses on the lives of Dennis and Angie, a divorced couple who are trying to survive the zombie apocalypse together. 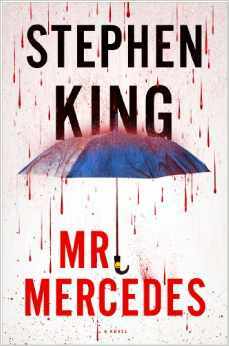 I absolutely loved this story and it was a unique take on the zombie genre that offers frightening and grim look at the realities of the walking dead roaming the streets with an emotional dynamic that is every bit as interesting. It is obvious to see they still care about each other and that love is proved in a final twist ending that was both sweet and incredibly horrifying. My favorite story from the anthology has to be Bracken MacLeod’s stellar contribution, “Pure Blood and Evergreen”. MacLeod tells the story of Pyotr cel Tinar, a youth who is held in a prison camp after the New Republic rises to power and destroys his village as part of a cleansing process. It is not clear until later in the story that Pytor may not be what he seems, but even then you can’t help but feel horrified by the nightmarish conditions he was forced to endure. This was the first story I have read from MacLeod, but I think it is safe to say I am now a fan for life! 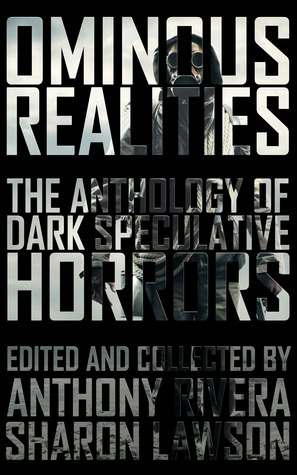 Grey Matter Press has done a phenomenal job with Ominous Realities and in my opinion, they are putting out some of the best anthologies in the genre. While you may not be a fan of every story, there is enough variety here to ensure that you will find something to enjoy and may introduce you to some new and extremely talented authors. This is a “must purchase” anthology for any dark fiction fan! I discovered John F.D. Taff’s newest novel The Bell Witch completely by chance while browsing Amazon’s bestseller list for horror. People always say you should never judge a book by its cover, but the sinister looking cover (which I later found out was designed by one of my favorite authors Kealan Patrick Burke) is what immediately grabbed my attention. Intrigued, I decided to check out the synopsis and once I learned it was based on The Bell Witch Haunting, that was all it took to have me hooked. John F.D. 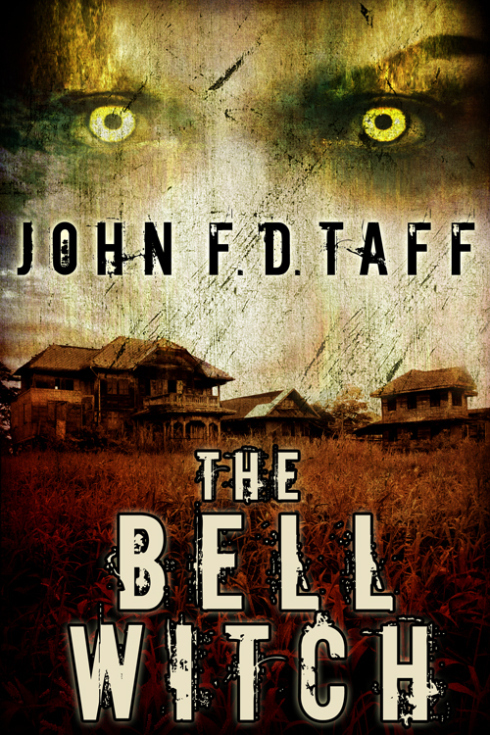 Taff’s novel focuses on the Bells, an early 19th century farm family from Tennessee who are haunted by an entity known only as the “Witch”. The entities arrival at the Bell homestead causes the Bells to fall into chaos as they are plagued by odd sounds, occasional bouts of violence and unrelenting taunts. The hauntings are limited to the home at first and the Bells think that if they just ignore the disturbances, The Witch will go away. The domineering patriarch of the Bell family, Jack Bell, refuses to allow his slaves into the house and places a ban on speaking about the disturbances to prevent others in the town from finding about the entity. However, the Witch foils these plans by making an appearance at the local church and announcing its presence to the entire town when it interrupts the church service. While the Witch torments all of the members of the Bell family and other people who cross its path, it focuses much of its energy and hatred toward Jack. It frequently tells him and his family that its main purpose for existing is to make Jack suffer and that before it leaves it will kill him. The reason its anger falls mostly upon Jack is one of the novel’s central mysteries and is directly related to what The Witch is and why it has decided to torment the Bell family. As a former history major, huge fan of documented hauntings and all things paranormal, I absolutely loved The Bell Witch. Many familiar with the Bell Witch Haunting will take issue with the artistic liberties Taff has taken with the legend and feel disappointed it doesn’t strictly adhere to the events reported to have occurred. However, I applaud Taff for making the history of the Bell Witch his own because it adheres to the spirit of the legend. The two definitive texts on the legend were published 60 and 75 years after the alleged events. Who is to say those writers did not take liberties of their own? Besides, Taff’s liberties with the Bell Witch story make for a truly unique origin story for the Bell Witch. It is also important to note that The Bell Witch is not an all out fright-fest, so if that is what you are looking for, you may be disappointed with The Bell Witch. 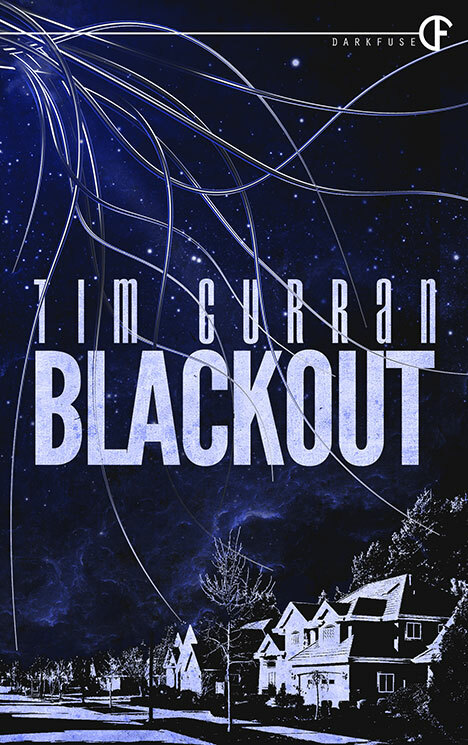 However, if you can appreciate an atmospheric ghost story that leans more towards “quiet horror” territory, you will fall in love with this novel. That isn’t to say the book doesn’t have its truly frightening moments, though. There is a pretty creepy possession scene that horror fans will love and Taff does an incredible job of adding quick shots of terror through the Witch’s actions. The action occasionally lags, but overall The Bell Witch is an outstanding take on a uniquely American ghost story that I would highly recommend. 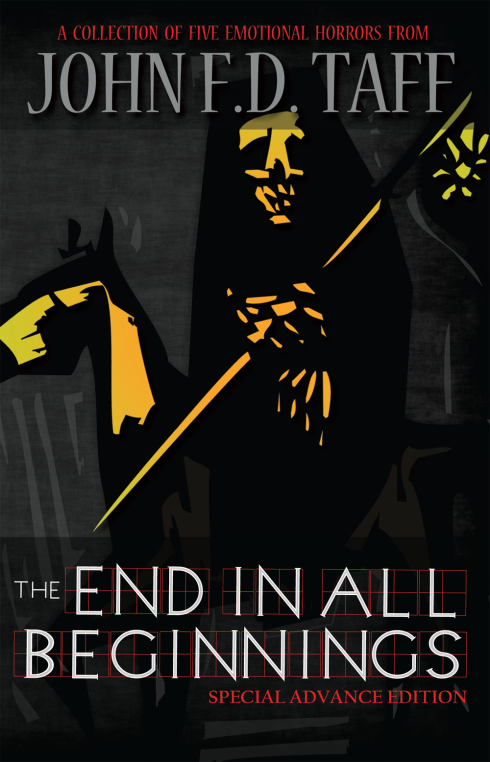 Taff recently announced a new novella collection for Grey Matter Press titled The End in All Beginnings and two rewritten novels titled The Exterminator and The Orpheus Box for Books of the Dead Press and to say these are highly anticipated would be an understatement. Nicole Cushing’s story, The Orchard of Hanging Trees, recently landed in my inbox courtesy of Dark Fuse Magazine, a weekly magazine from dark fiction publisher Dark Fuse. I have been familiar with Dark Fuse for some time, but only recently discovered they published a weekly magazine. Now I am scolding myself for not exploring their website sooner, as the magazine sends out content from its talented authors that range from short stories to essays about the inspirations for their work that are must-read’s for any horror literature fan. The story opens with a scene in Hell in an orchard of trees that give birth to embryos of souls that are to spend their time being tortured by hanging for all eternity. 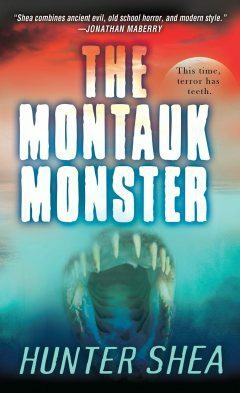 The story is told by an unnamed narrator who is employed by Hell and yet does not see itself as a monster, despite being referred to as “Demon”. The narrator does not wish to be in its position, but is forced to take care of these trees as punishment because it failed to prevent suffering in its human life. The narrator must tend to the trees to prolong the suffering of the trees’ “fruit” and a failure to do so results in expulsion from Hell. This may seem like a gift, but the alternative is being cast into a black void of nothingness, where everything ceases to exist. The demon is given a chance to free the souls it tortures throughout the story, but struggles with the decision. The Orchard of Hanging Trees is an exquisitely written short story chock full of dark imagery and a twist ending that packs a punch. I did some digging on the origins of this story, and it appears it was an unpublished story written in 2012 that was posted on Thomas Ligotti online and featured on horror fiction podcast, Pseudopod. I have never read any of Cushing’s other works, but after reading The Orchard of Hanging Trees, it is clear Cushing is a masterful storyteller and is an author horror fans need to be reading. Her two Dark Fuse novellas, I Am The New God and Children of No One, have rocketed straight to my “must-read” list. The Bird Eater focuses on Aaron Holbrook, a character who has experienced nothing but tragedy throughout his life. His mother died when he was only sixteen months old, his aunt died when he was fourteen, and recently lost his only son, Ryder, in a car accident. The loss of his son causes him to spiral into addiction and leads to the crumbling of his marriage to his wife, Evangeline. His therapist suggests he head back to his childhood home in Ironwood, Arkansas as a way to work on himself and attempt to piece his life back together after the tragic death of his son. I have been a huge fan of Ania Ahlborn’s work ever since I stumbled across her demonic horror debut Seed on Amazon and her ability to craft an elegantly written yet scary as hell story has reached new heights with The Bird Eater. Her depiction of Aaron’s slow descent into madness due to the combination of overwhelming grief that has dominated his life and the haunting visions that come from living in the Holbrook House again is extraordinary. After experiencing so much heartache and tragedy, I couldn’t help but root for Aaron to overcome his crippling addictions and get his life back on track even as he slipped further away from reality. 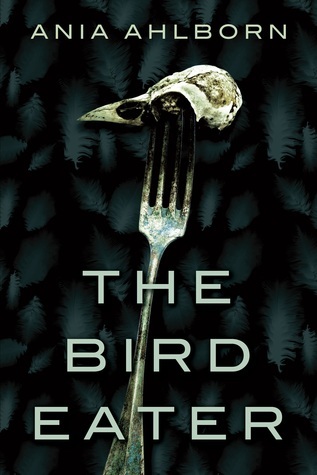 The Bird Eater is a bleak and chilling tale that is an absolute must read for any horror fan. 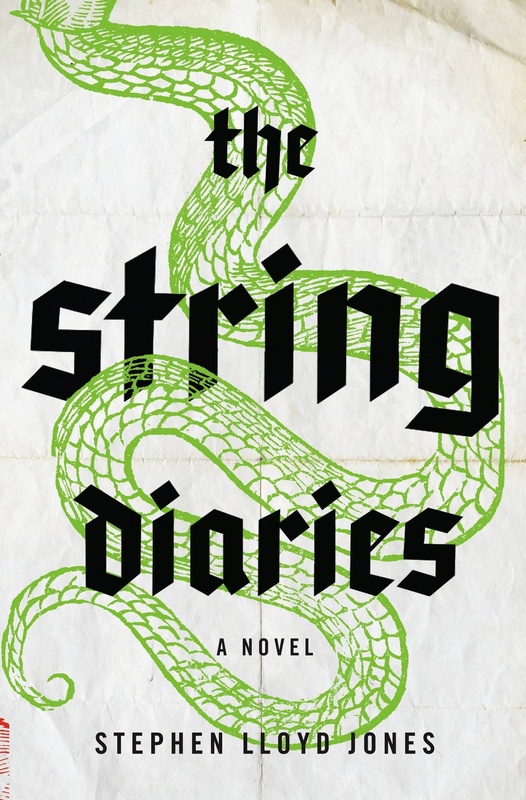 Shortly after the release of the novel, Publishers Weekly announced Ahlborn has signed a deal with Simon & Schuster’s Gallery books for three novels and two e-novellas. That is absolutely huge news and I think it goes without saying that I will be looking forward to her future works. I know the year is still fairly new, but Ania Ahlborn’s The Bird Eater has already cemented a place in my list of best horror reads of 2014. 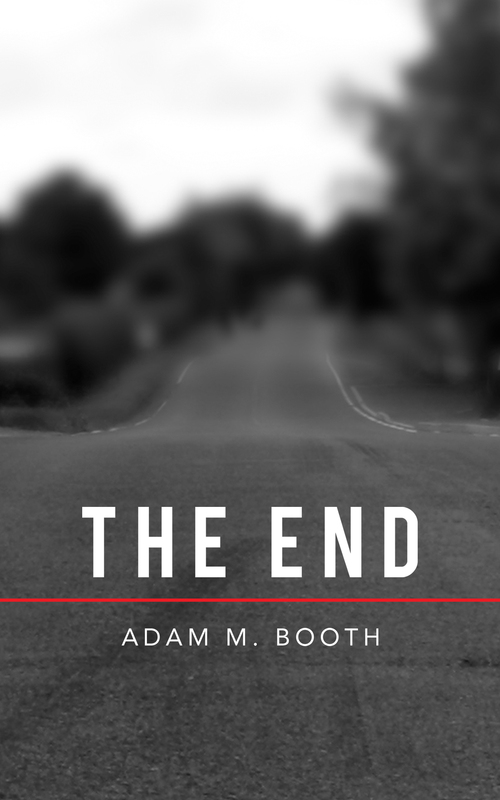 The End is the debut short story from author Adam M. Booth and is the first person account of Zoe, a thirty-something single mother who unwittingly becomes caught in the outbreak of the zombie apocalypse when she goes to pick up her daughter at the train station. As she is driving toward the bus station, she sees a man sprawled out in the street, dragging himself across the pavement and covered in blood. When Zoe calls for an ambulance and is only greeted by a gurgling sound, that one line of dialogue serves as a bone chilling indication of the events to come. The End features plenty of traditional zombie thrills, complete with shambling hordes that are hellbent on nothing more than feasting on humans, but the real highlight of the story is in the author’s choice of point of view. Focusing on Zoe, who eventually becomes one of the living dead herself, allows Booth an opportunity to examine zombie mythology in a fresh way. Often times when I am reading a zombie novel, I find myself asking the same questions every single time. Are these things still considered human? Are they aware of what they are or are they just mindless killing machines that are only driven by the biological impulse to feed? Booth answers these questions in The End and rather than ruining the story by giving too much away, it makes the story even better by raising a host of other questions. I don’t want to spoil the story by posting too many details here as The End is a brisk read at 78 pages, but Booth does an excellent job weaving in bits and pieces of Zoe’s human life with her journey as a zombie to show she was capable of just as much evil before her transformation. The ending gives a pretty unique explanation for the cause of the outbreak along with Zoe’s fate and made me wish that The End was a full-length novel so that Booth would have been able to flesh out these sections a little bit more. Booth’s writing style is very poetic and makes for some particularly gripping scenes when he describes Zoe’s transformation and her bodies slow degradation throughout the course of the novel. However, his occasional use of quick sentences and poetry inspired structure may not be for everyone. There are also a few minor errors in The End, but none that significantly impacted my enjoyment of the story. Booth is currently working on Alison, a gothic horror story about an isolated woman and her descent into madness. After reading and enjoying The End, I can’t wait to see what other novels Booth has in store! Welcome To The Horror Bookshelf! 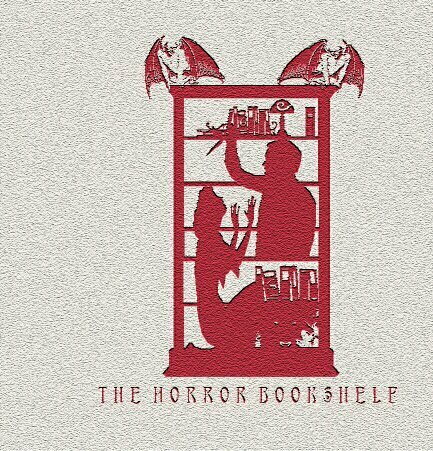 Welcome to The Horror Bookshelf! This is a project I am extremely happy to announce as it has been something I have been wanting to do for a long time now and I have finally taken the plunge! 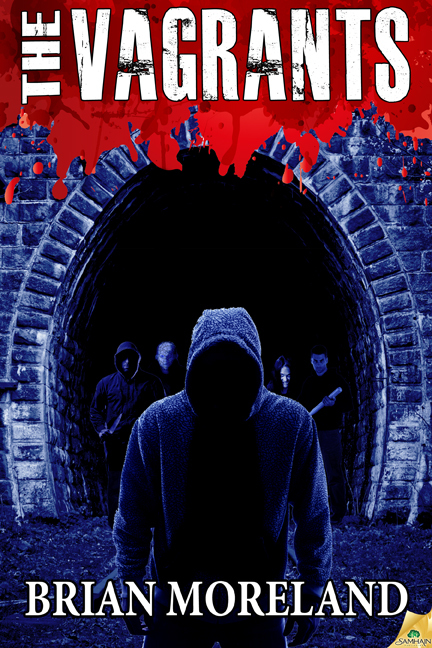 I have always been a huge fan of horror novels and this blog is my way of giving back to the extremely talented writers who have created the books I enjoy reading and connecting with other horror fans. I encourage you to check out the “About” page to learn a little more about what The Horror Bookshelf is all about and feel free to contact me on Twitter at Follow @horrorbookshelf. The firsts two reviews I have planned are for Adam M. Booth’s zombie short story The End and Ania Ahlborn’s bleak new offering The Bird Eater. I hope you enjoy the blog!